Do you have enough storage space in your small bathroom? You may not think so now. However, if you look at your bathroom in an imaginative, resourceful and inspired way, you will see that there is a lot you can do to create extra storage space. Focus on design elements that are useful and practical. Get rid of unwanted clutter – knick-knacks that serve no real purpose. Store extra personal hygiene products inside cabinets; do not use premium counter space to display them. Put glass jars on open floating shelves. You can use the jars to keep cotton balls, toothpicks and other small items. 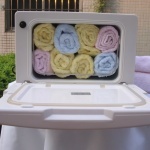 Put a hamper under the sink for your dirty towels and clothes. Stackable baskets are useful and practical. Put them under cabinets or on open shelves. 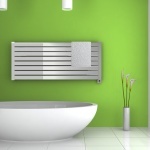 Add a towel warmer to your bathroom. 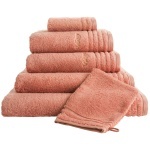 You get warm towels anytime you need them. You prevent mildew and you give your small bathroom a distinct touch of class, comfort and warmth. There are many designs to choose from – from stark modern designs with clean simple lines to rich and elaborate designs with intricate lines. Opt for white, a color usually associated with purity and cleanliness. White and neutral tones add depth and make it possible for you to play around with different patterns and textures. Soft pastels are easy on the eye; they are also soothing and restful colors. Put in pops of colors from multi-colored hand towels, textured rugs and bathroom tiles to add flair and create ambiance. 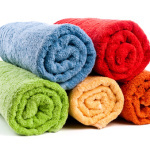 Hang robes or towels of bold lively colors to add personality to your small bathroom. Use chic and unique accessories like soap dishes for a stylish, elegant touch. If the windows in your small bathroom are not sufficient to bring in enough natural light, you can install a sun lighting tube or a skylight to do that. A sun lighting tube is installed on the roof and passes down into the ceiling of your small bathroom. Clean natural sunlight bounces down into the bathroom through reflective material. A skylight is an opening on the ceiling or roof – a window on the roof that is fitted with glass. Welcome to CleanAndToasty.com. This is Daisy. And I'm the site owner. I created this site with a simple mission in mind. 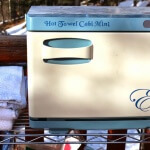 To bring you only the best towel warmers and other related products. If you have questions, feel free to contact me. I'm always here to help. 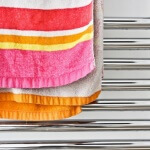 Do You Make These Mistakes With Your Towel Warmer? 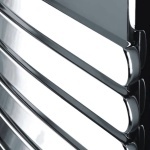 What People Really Want From Their Brand New Towel Warmers? 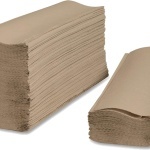 Is It OK to Put Paper Towel in the Microwave? 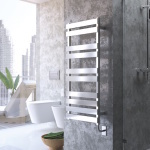 How Important is the Automatic Shut-Off Function in Your Towel Warmer? 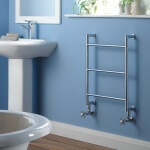 How to Choose a New Towel Warmer for Your Small Bathroom? 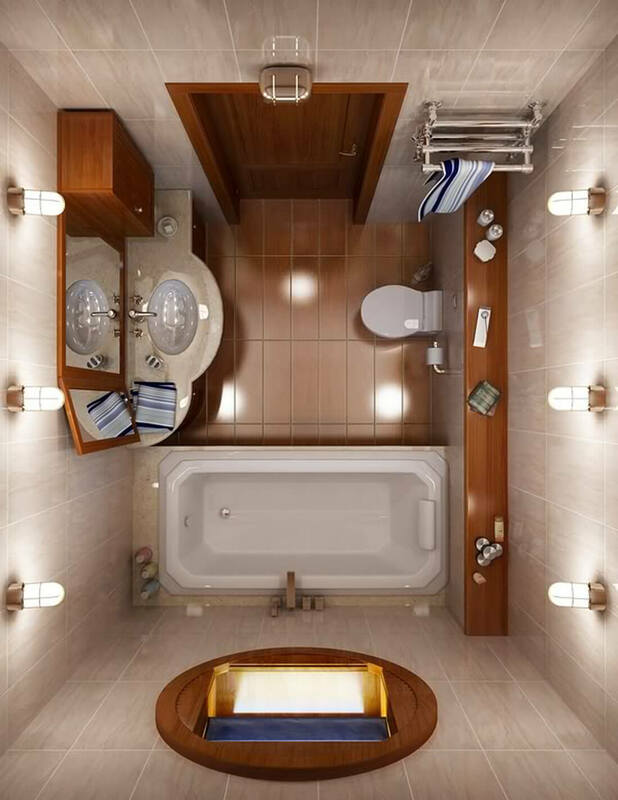 What NOT to Do if You Have Limited Bathroom Floor Space? How to Remove Mould and Mildew From Clothes Quick? Cleanandtoasty.com is a participant in the Amazon Services LLC Associates Program,an affiliate advertising program designed to provide a means for sites to earn advertising fees by advertising and linking to Amazon.com. Cleanandtoasty.com is a participant in the Amazon Services LLC Associates Program,an affiliate advertising program designed to provide a means for sites to earn advertising fees by advertising and linking to Amazon.com. Amazon and the Amazon logo are trademarks of Amazon.com, Inc. or its affiliates.